We looked at how Jesus humbled himself to the point of death on a cross. Jesus on the cross is only half the story. It’s important but that is not all. He is no longer there. He obtained our salvation. Verses 9-11 these verses are potent, powerful. There is so much truth in them. These verses are about the exaltation of Christ. It’s God’s response to Jesus’ humiliation. 1Pet 1:1111 trying to find out the time and circumstances to which the Spirit of Christ in them was pointing when he predicted the sufferings of the Messiah and the glories that would follow. Remember why Paul is writing this letter. 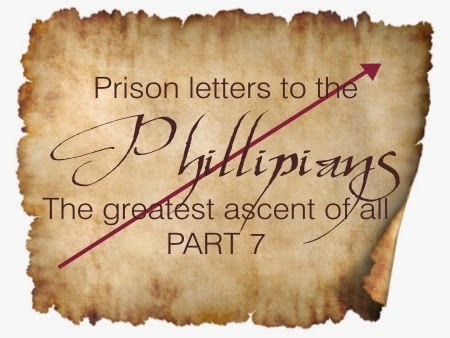 Paul wants to encourage unity and because he wants to help them with that he writes Phil2 about how Jesus humbled himself so we can do the same. Verse 9 Therefore God exalted him. The humiliation is linked to the exaltation. All that has happened to Jesus will happen to us as well. The two are inseparable. There can be no exaltation without the humiliation. Greek word – huper from which we get the word, hyper. God “Highly exalted” He “hyper” exalted Him. If Jesus was God why did he need exalting? The man Jesus was exalted – the fully God fully man Jesus. The promise is that in the same way God will exalt us. This gives us the power to live the Christian life because any sacrifice we make will be nothing compared to the reward that we will get. Hudson Taylor went to China. His wife died at 33. She had 8 children of which 5 died. Three grew up to become missionaries. And Hudson Taylor says: I never made a sacrifice in my life”!!! What a statement!! What will give us the motivation to keep on serving? For the joy set before me. Today, we’ll look at 3 ways God exalted Jesus. 1. Resurrection the historical resurrection of Jesus from the dead. He lived an amazing life, taught amazing things and died an amazing death. Acts 2:32-33, 32 God has raised this Jesus to life, and we are all witnesses of it. 33 Exalted to the right hand of God, he has received from the Father the promised Holy Spirit and has poured out what you now see and hear. Acts 5:3030 The God of our ancestors raised Jesus from the dead—whom you killed by hanging him on a cross. God raised him bodily from the dead. What’s the difference between this and Lazarus’ death and resurrection? Lazarus died because he had the same old body. Jesus has a new body that is incorruptible. One day we will have new bodies too. 1 Cor. 15:2020 But Christ has indeed been raised from the dead, the firstfruits of those who have fallen asleep. Jesus is the first fruits of those who will have the resurrected body. 1Cor15:23. But each in turn: Christ, the firstfruits; then, when he comes, those who belong to him. If we belong to Jesus we will have a new body. 1Cor 15:42-44 2 So will it be with the resurrection of the dead. The body that is sown is perishable, it is raised imperishable; 43 it is sown in dishonor, it is raised in glory; it is sown in weakness, it is raised in power; 44 it is sown a natural body, it is raised a spiritual body. 2. Ascension – That physical body of Jesus going up into heaven. Luke 24:50-53, 50 When he had led them out to the vicinity of Bethany, he lifted up his hands and blessed them. 51 While he was blessing them, he left them and was taken up into heaven. 52 Then they worshiped him and returned to Jerusalem with great joy. 53 And they stayed continually at the temple, praising God. Acts 1:9-11 After he said this, he was taken up before their very eyes, and a cloud hid him from their sight. Because he was raised up bodily, he will be raised up as well. 1Thes 4:15-18According to the Lord’s word, we tell you that we who are still alive, who are left until the coming of the Lord, will certainly not precede those who have fallen asleep. 16 For the Lord himself will come down from heaven, with a loud command, with the voice of the archangel and with the trumpet call of God, and the dead in Christ will rise first. 17 After that, we who are still alive and are left will be caught up together with them in the cloudsto meet the Lord in the air. And so we will be with the Lord forever. 18 Therefore encourage one another with these words. One day when Jesus comes back it’s the end of life on earth as we know it. Those who believe in Him will be ruptured along with Jesus. Jn14:2 Jesus is preparing a place for us many mansions. Jesus has saved us for a better place. WE have a glorious future. 3. Seated at the right hand of God. It’s a place of authority and power. It’s Jesus’ coronation. So what about us? We are seated with Him. Eph2:6 Seated with Him. That’s why was can pray and do things. 1Cor 15:58 8 Therefore, my dear brothers and sisters, stand firm. Let nothing move you. Always give yourselves fully to the work of the Lord, because you know that your labor in the Lord is not in vain. 1 Thes 4:1818 Therefore encourage one another with these words. This should encourage us to work for the Lord because everything that happened is for the church. God has a mission and the church is a part of this. Let’s do this. WE have a great future. Amen!! This message was preached by Alan Preston at Word of Grace Church on the 15th of Feb 2015. To listen/download the audio please click here.As you read the Bible right through what’s the story being the story? Is it just fanciful stories about Abraham, David, and Paul etc or is there something deeper, fundamental going on? God’s got a plan. Do we know what the plan is and are we tapped into it? All scriptures point to Christ. What did Christ come to do? The pinnacle of what God was to offer us a way of salvation yet we are only scratching the surface- the tip of the iceberg. So to say Jesus came to die for our sins it’s only the tip of the ice berg. There is so much more. We need a bigger picture. When God created man he mad man special. Why was man special and very good? Because he was made in the image of God. He was called to rule and have dominion over every thing created. Why did God ask Adam to name every living creature? Because, he was given authority. When man rebelled he didn’t lose his image of God but lost his authority. It got marred, messed up and man invited Satan to rule. This is why it’s called the kingdom of darkness. It was not about one man and woman serving but a change in order. Wasn’t Eve the one who sinned? Then why is it called the sin of Adam? When Satan came in and took over. God always had a plan. This happened in the sovereignty of God’s will. His plan was to restore all things to its original beauty. Then Israel failed in its divine purpose in two ways. One, they invited a human king and they worshipped idols and pagan Gods. God was merciful and sent prophet after prophet whom they stoned and rejected. So God send Jesus. Jesus talks to the Pharisees and Sadducees and says today the kingdom will be taken away from you i.e. the divine purpose for Israel was taken away and embodied in Jesus. Jesus sets in motion a new kingdom. The kingdoms of this world will finish. The Kingdom of God starts with Jesus and is moving on and will continue into eternity. WE live in the overlap period. So we do our jobs in the kingdom of this world but we belong to another kingdom. We are the people of the future. What it means to repent of your sins is not just repenting for the things done but its saying I have been duped by the Kingdom of this world; I now belong to the kingdom of God which has different values. We are no longer duped by wealth or Bollywood or the powers of this world. We have seen something better, eternal and that will last. There is a future with Jesus and what’s going on here will not last forever. So as part of God’s mission it was not to just forgive us but to restore all things to himself. Col 1:20 We are a part of the new things that will emerge and he has gathered a new community called the church. So God’s mission has a church. It’s not church on a mission so we are not isolated in Pune. We will be powerful in bringing the Kingdom of God here on earth. WE restore creation. WE are a part of creation. Anyone who is a true believer is a missionary-whether you are a teacher, in the call center etc . We are the church gathered on Sunday and the church scattered during the week. Missionary means more than telling people about Jesus. You‘ll work honestly, pro life, work for cleanliness etc. You B.L.E.S.S them. As a people who are a part of the future how do we bless? B Begin with prayer. Hearts are changed through prayer not information. E Eating - have meals with them. If you do the first 4 you have won the right to be heard on how Christ has made a difference to you. So pray for 5 people, bless everybody, invite 3 to Word of Grace and expect one to turn up. We will do this because we are on God’s mission. This message was preached by Alan Preston at Word of Grace Church on the 15th of Feb 2015. To listen/download the audio please click here. The Lord’s hand is on your life and mine. Psalms 38 says the steps of the righteous man are ordered by the Lord. We are righteous not because of what we have done but because of what Jesus has done for us on the cross. So this applies to us. Remember righteousness is a gift. It’s free and it’s not something you work for. It’s a grace gift. Steps imply a destination and a journey. While you are here, God has a plan for your life. Here we are running for Jesus and to Jesus. 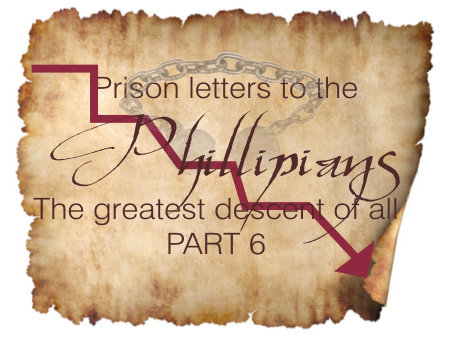 Heb 11 is about outstanding heroes of faith who did not receive what they were promised. Puzzling isn’t it? Heb 12 starts with “therefore”. We don’t know who wrote this book or to whom it was written apart that it was to Jewish Christians. They were in the danger of drifting and strolling about and not running for Jesus. Heb2:3, 5 it’s a running theme. There is a distinction between weights and sins. If you are running with your eyes fixed on Jesus and sins come in the way your eyes will be diverted and you will run elsewhere. Weights slow you down. It seems to me that it’s too simple a question to ask “is it sinful?”.The question is “Is it helping me runs for Jesus?” Many things are neutral but when it interferes with your running for Jesus, it will slow you done. What’s your weight? Is it a promotion, hobby, computer game. What takes your time and energy? Sin easy to discern but weights are deceitful. How do you plan your run? If you try running a marathon without preparing you could die. You try a little bit every day. Are you preparing for your run for Jesus? What would you like to achieve in 2015. Write down your impossible list for 2015. Believe that as you run for Jesus you run fervently and glorify Jesus. 1. It’s helpful to think about how you want to live for Jesus now. Decisions you make now will pan out in the next few decades. Witnesses are of two sorts. One is where the person actually sees you doing something. The others bear witness to your character. Heb 12 is the second one. They are speaking to us. I overcame so can you? Moses- I overcame shyness, so can you. Abraham I over came all the difficulties, so can you. These are keen for you to finish the race. 2.So what have they not got? They have not yet got their resurrection bodies and the second coming of Jesus. So it matters to these witnesses, and they are cheering you on and it matters that each one of us finishes because its one closer to them getting their resurrection body. 3. Jesus is the Author and perfecter of our faith. We are looking to Him and not Heb 11 saints. The saints inspire, encourage, and motivate us. Only one person can change us – Jesus. 4. The joy set before him endured the cross. When you live your life, the sufferings of this age in the light of Romans 8 age are nothing compared to the glorious riches in Christ. So plan your run don’t let weights get you down. 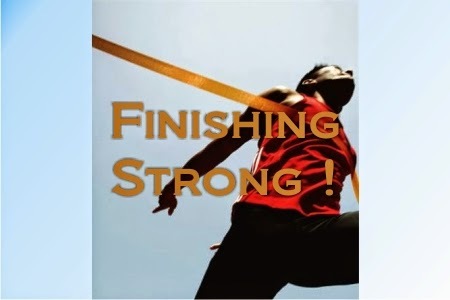 Don’t carry baggage and run well and finish strong. This life is the “snacks” The main course is coming. This message was preached by Colin D Cruz at Word of Grace Church on the 8th of Feb 2015. To listen/download the audio please click here. This is one of the greatest theological chapters I the whole of scripture. It speaks of Jesus’ the person, his deity, humanity, humility, death and resurrection, supreme reign acceding and exaltation. The Bible is full of theology but here Paul is not giving them some abstract thesis on God. It’s in context. 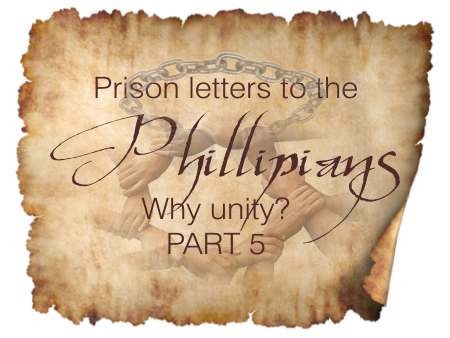 Paul is urging them towards unity and the way is humility – to think of others better not to have selfish ambition. And by the way the way to do this is to consider Jesus who was the embodiment of all this. V6. Who being the very nature God – What is Paul saying. WE need to look at some Greek words here. Greek= Morph – very essence – inner core is that He is God. Eg) a person born as a male is in essence male. As he grows his appearance changes but not his malehood. Jesus always existed. He did not come into existence 2000 years ago but right in the beginning Jn1:1,14. 2. He did not consider equality with God something to be grasped. Greek = Isos – 2 equal. Jesus and God are equal. God in essence therefore equal with God not a lesser form. Then it lists down 7 steps on how Jesus humbled himself. 1. Did not consider equality something to hold on to. He did not throw his weight around. 2.Although he was fully God he did not take the privileges of being divine. He did not give up his essence but he laid aside his divinity. He lived like a normal man but there were flashed of his divinity eg) the mount of Transfiguration. 3.He gave up his independent authority. I’ve not come to do my will but the will of the father. 4.He was obedient to the point of death. He emptied himself of his divine power. 5.He set aside his omniscience. As a child he asked questions. He grew in wisdom and stature. However, there were times when he used it eg) with Nathaniel. 6.He emptied himself of his riches. Although rich for our sake he became poor. 7. He emptied himself of his relationship with the father. He gave it up on the cross. The Father turns his face away. He took the nature of a servant. He became a servant – the king of the universe becomes a servant King. Isaiah points out to this. John 13. He washed the disciple’s feet. He did not come to be serve but to serve and give his life as a ransom for many. This is the highest thing. The world twists this to the more people that serve you the greater you are. Kingdom culture says the more people that you serve the greater you are. HE took the form /shape of a man. Greek = schema/shape. Why? In order (Col1:22) to reconcile you to God. Because Jesus became a man ( Gal 4:4) that we could be reconciled . Jesus had to be born a baby. This was to purchase our salvation. Hebrews2:14 He was hungry, he cried etc. Heb2:17 in every way He was made like us. The only way Heb4:15 he is different from us is that he is without sin. Being found in appearance as a man i.e his divinity was hidden so people only regarded him as a man. So only through eyes of faith could you see his divinity? This was a part of his humility. He became obedient to death. This is going down, down, down. He agrees to die in our place. The eternal God agrees to die!! The world tries to appease their God. But here He came to suffer and die for us. Jesus appeased the father on our behalf. We can become obedient for certain things but here Jesus obeys to the point of death!! Even in his death there is humiliation. He is betrayed by a close friend and denied by a close friend. The one whom the angles worshiped was spat upon. Not just dying – even death on a cross. It was a not a bullet to the head but the worst kind of death. Deut 21:23 one who dies on a cross is cursed. The God of the universe was killed by the cruelest from of death. Jesus gave up all this. So Paul is saying look at the examples of Jesus so be united, humble yourselves. This is a pattern for us to follow. We too will be exalted. What do we hold onto? Position, education, ego, status, leadership role in church etc. Are we holding onto to something? Am I willing to become in my essence /very nature a servant and not just in appearance ? This is radical and opposite of the world’s values. This is the blue print for our life. Let’s embrace it. Amen! !